Vehicle breakdown and recovery specialist the AA has made renewed calls for the introduction of a new diesel scrappage scheme across the UK as part of this year's National Clean Air Day. Held across the country on June 15th, National Clean Air Day was viewed by the body as the perfect time to outline new data that shows 75 per cent of the organisation's members would be in favour of such a scheme. It is proposed as a measure to reduce harmful NOx gas emissions across the country – with diesel vehicles shown to be a key contributor to these types of emissions in recent years. AA president Edmund King commented: "Our members are clear that air quality matters to them, with eight out of ten agreeing that it's an important issue." However, the AA chief went on to add that "drivers won't be happy" if they face future financial punishment for past car-purchasing decisions that were made in good faith at the time. Mr King concluded that there is "no silver bullet" to tackle urban air pollution, and the government must therefore consider a range of options when setting its future policies on diesel scrappage. Molly Benton, brand manager at Fuel Card Services, adds: "Addressing the issue of vehicle emissions and air pollution up and down the country is extremely pressing. 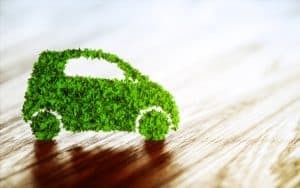 Many motorists therefore understand the need to make their local environment a happier and healthier place by considering these issues carefully when planning which cars to drive."